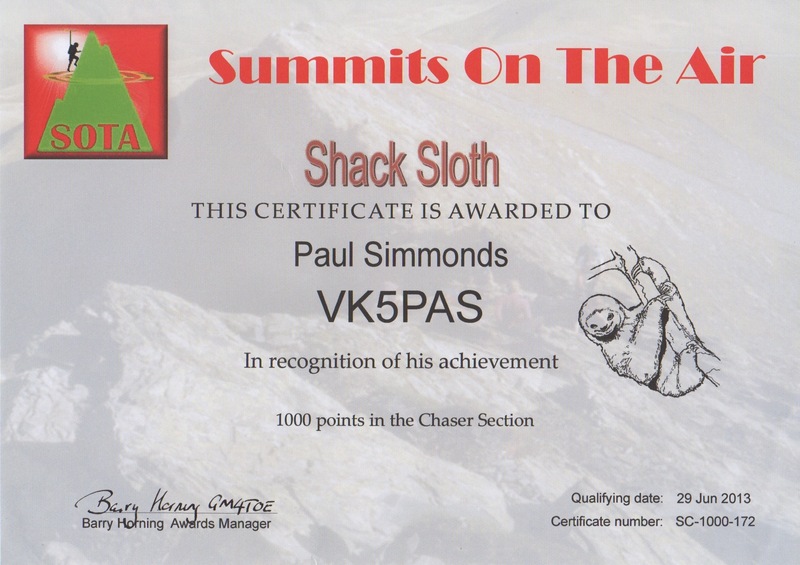 The Shack Sloth Award is issued at 1,000 points for Chasers/SWLs. Achieving “Shack Sloth” status requires considerable dedication and effort and so, trophies can be claimed to mark this significant milestone. Each 9cm x 9cm “Ice block” is made entirely by hand in the Scottish Highlands. Craftsmen create a unique “running scallop” along each edge of the raw glass so each trophy will be unique. 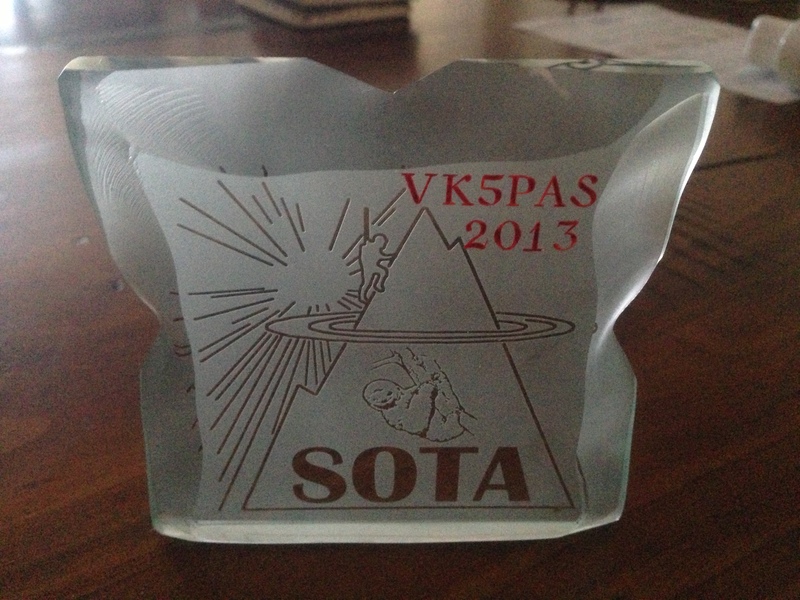 The trophy will be individually engraved with your callsign and the year in which you reached 1,000 points. Endorsements like “All CW” or “VHF” can also be engraved for a small additional charge. I received my Shack Sloth certificate and ice block on the 29th June, 2013.